Lorenzo Panichi is using Zabbix since 2014, when he began working at Systematica. 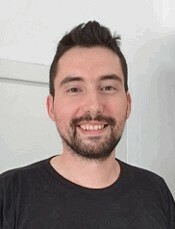 Coming from a linux sysadmin background and being an open source passionate, he is now involved with the implementation and delivery of many zabbix based monitoring solution to different enterprise in Italy. Lorenzo Panichi holds Zabbix Certified and Professional certification and in 2017 he became Zabbix Certified Trainer.